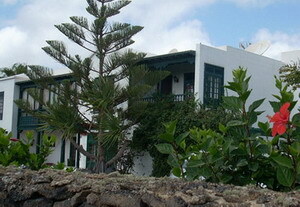 Only 12 Km from Famara, the most important beach of Lanzarote, on a small hill called El Islote and close to la Geria, where silence reins, the Lamberti family has created a welcoming hotel full of small details. 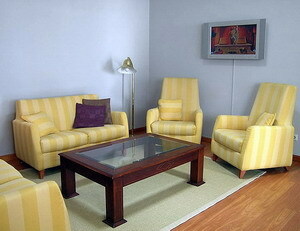 The style of the decoration of the building and rooms is modern and elegant. 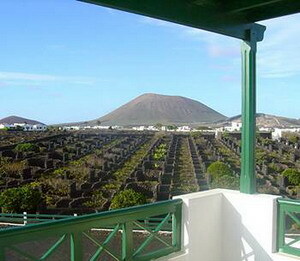 When you walk outside the view of the vineyards is breathtaking, away from any building and road. 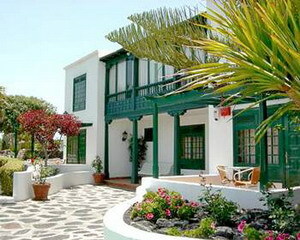 During the day the guests can relax in our garden full of fruit trees. 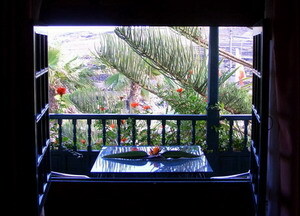 At night enjoy the stars from our chill-out terrace, bring a book or simply enjoy a glass of wine. 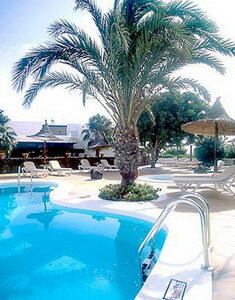 The Hotel has a swimming pool and a pool for children surrounded by palm trees. 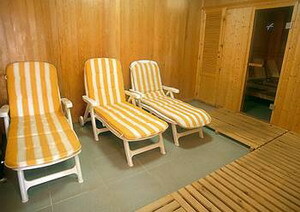 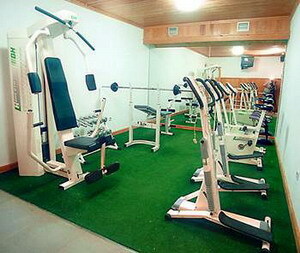 Sauna, tennis court, minigolf, playground and gym are the final touch to the tranquillity of your stay. 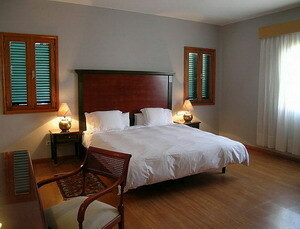 In Finca de la Florida Hotel we will make your stay unique, comfortable and relaxing. 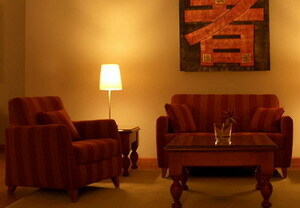 Organize your special events in our lounges, where you will feel at home. 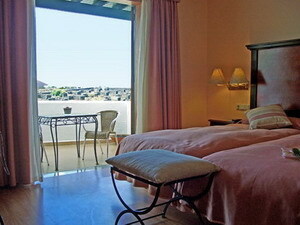 Enjoy all of our facilities for free, or walk in our big garden surrounded by vineyards. 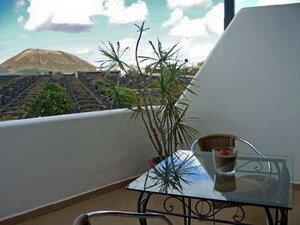 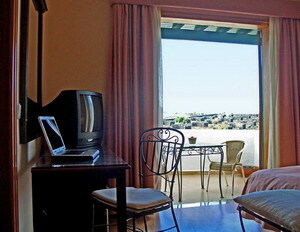 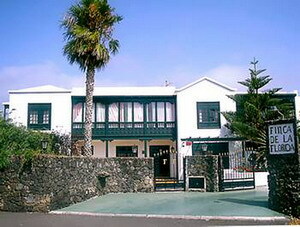 The rooms that seduce Lanzarote, with views to tranquillity. 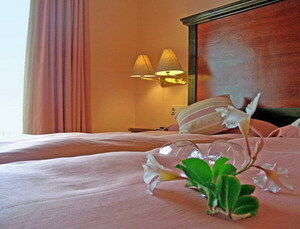 Enter our rooms and discover a relaxing refuge. 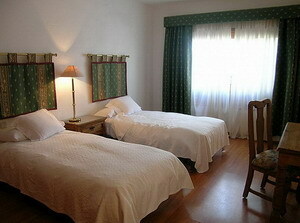 In Finca de la Florida Hotel a big variety of complements combine to offer you a better rest. 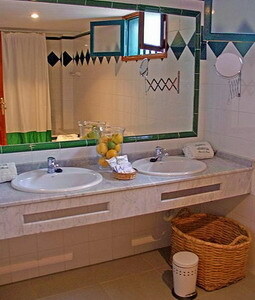 Let us surprise you with big marble bathrooms and showers. 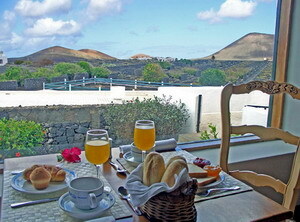 Enjoy a delicious morning coffee or a glass of wine at sunset in your private balcony, with the amazing view of the Timanfaya National Park. 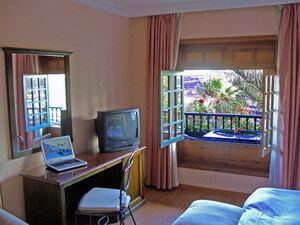 From the WIFI internet access to the Jazz evenings next to the fireplace.